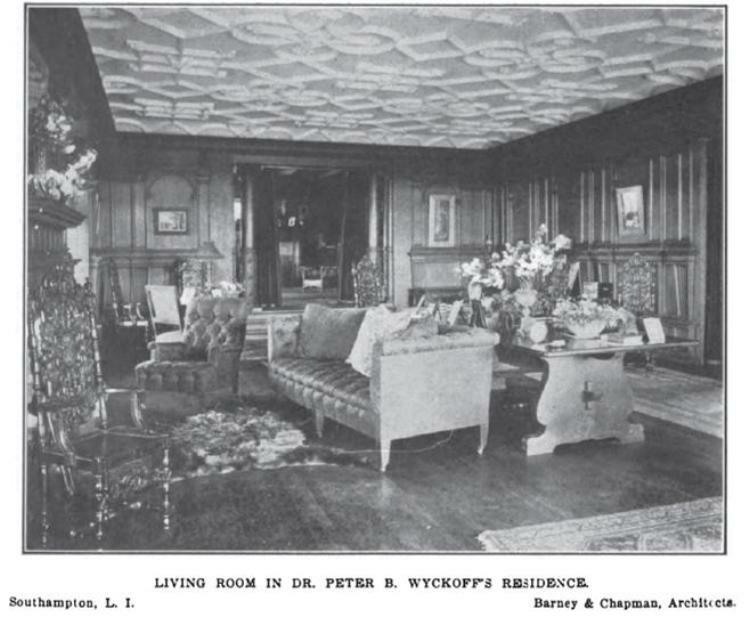 The accompanying interiors to the Dr. Peter Brown Wyckoff estate designed by Barney & Chapman c. 1900 in Southampton. Click HERE for more on the Dr. P.B. 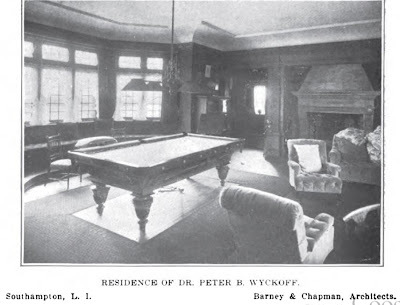 Wyckoff estate. All that oak panelling and velour doesn't strike a particularly seaside like note- in a house that was not much more than 100 yards from the crashing surf. I hope that you post photos of Jessie Donahue's revamp-a bit more up to date, but again more Fifth Avenue than "sur la mer". 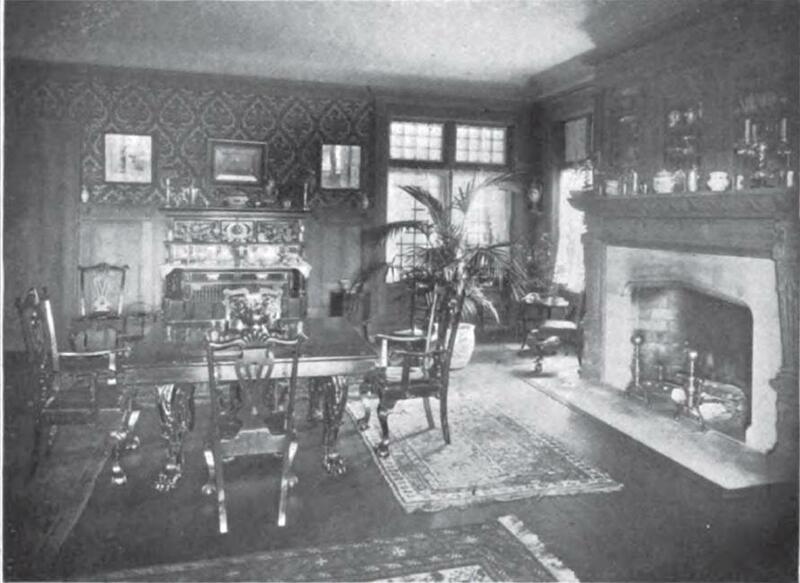 • Dining room – instead of one large carpet under the table & chairs there are four smaller carpets that go around the outside edge of the table … was this common then? 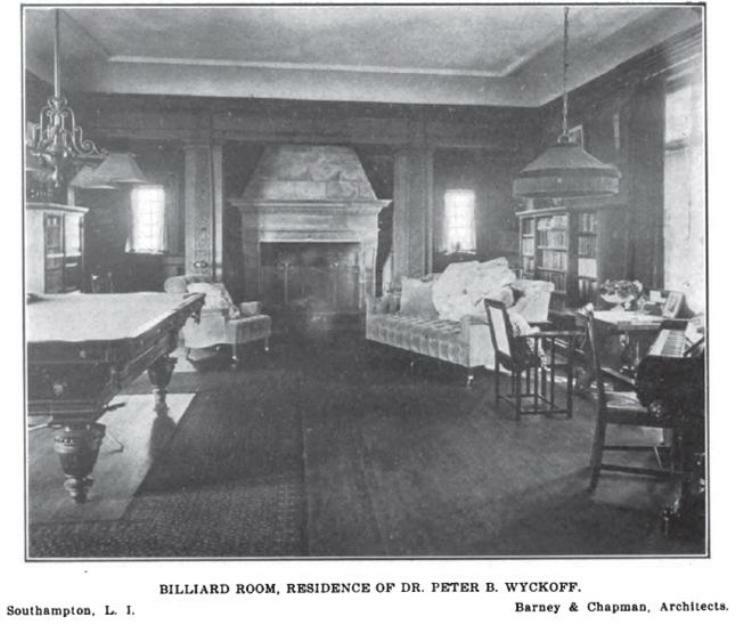 • Billiard room – the two photos show different light fixtures over the pool table & the furniture has been rearranged … I’m surprised ‘Architectural Record’ bothered to publish ‘before’ & ‘after’ pictures. But, as Mansions commented yesterday & Magnus today: in time the new owner, Mrs. Jessie Woolworth Donahue would tear out these interiors & install “over the top opulence” which neither impressed her neighbors nor really fit in a Southampton beach house. 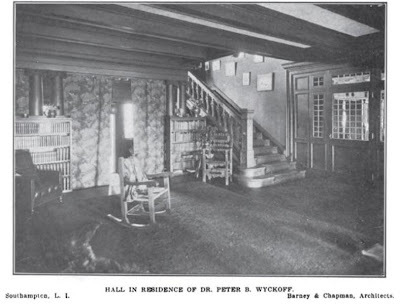 But I still wished the house had survived – it did have very good bones. Turkish" rugs, scattered about a room were clearly a widely adopted decorating conceit through the1920's. it is astonishing how often you see them.